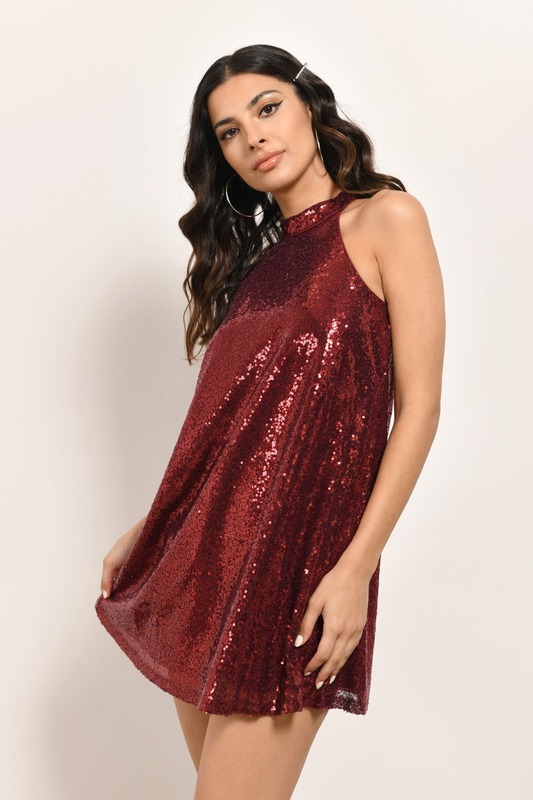 Check out Tobi's Lightning Strikes Halter Swing Dress It's all fun every time you move in the Lightning Strikes Wine Sequin Swing Dress. 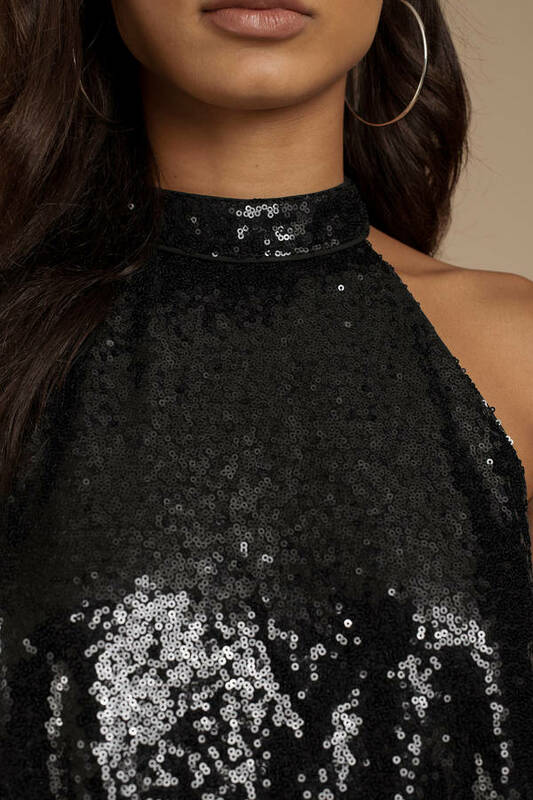 This sleeveless sequined cocktail dress features a mock halter neckline, keyhole in the back, stunning sequins, and a flowy silhouette. Pair this sequin party dress with matching stilettos and get ready to dance. It's all fun every time you move in the Lightning Strikes Shiny Black Sequin Swing Dress. This sleeveless sequined cocktail dress features a mock halter neckline, keyhole in the back, stunning sequins, and a flowy silhouette. Pair this sequin party dress with matching stilettos and get ready to dance. It's all fun every time you move in the Lightning Strikes Wine Sequin Swing Dress. This sleeveless sequined cocktail dress features a mock halter neckline, keyhole in the back, stunning sequins, and a flowy silhouette. Pair this sequin party dress with matching stilettos and get ready to dance. Shiny Black modeled on a size Small.